It’s been said novelists have been driven mad trying to move characters from one room to the next. Spatial arrangements are often not our forte. But stories are deeply rooted in settings. In fact, place holds a key role in fiction. Try to imagine Willa Cather’s novels without the Great Plains, John Steinbeck without California’s Central Valley, or Lisa See without China. It’s impossible. Settings become a character as much as flesh and blood people. 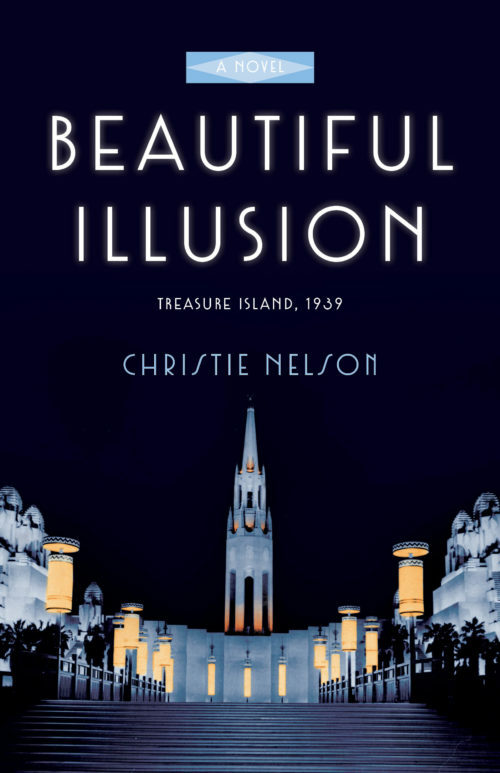 As a native San Franciscan, I’m familiar with the city and many of the landmarks on Treasure Island, where I’ve set my newest historical novel, Beautiful Illusion. At one point in the research, my eyes glazed over from scouring books and websites, and still I couldn’t visualize a crucial setting—the site of the former newsroom of the iconic Hearst Building. 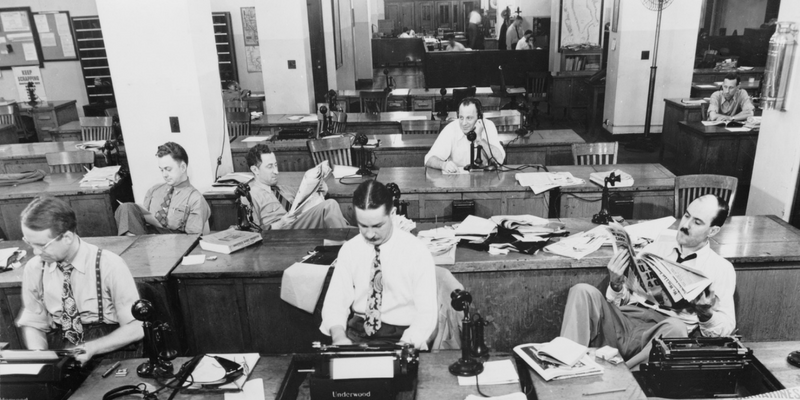 Here reporters, copyboys, and editors hammered out the highly popular Examiner from 1937 to the middle of the 20th century managed by the media mogul William Randolph Hearst. In my youth, I had stood on the bustling corner of 3rd and Market waiting for Muni buses and gazed at the building studded with twenty cast bronze mythical animals situated above the door. But getting past the lobby today is off-limits. There was only one thing to do. I found the phone number of the property manager and dialed the number. I jumped to my feet and jammed the phone against my ear. “Hi, Mr. Zerbe. I’m writing a historical novel set in San Francisco in 1939. One of my main characters is a newspaper reporter at the Examiner.” The words can’t come fast enough. Three days later, I walked through the doors of the Hearst Building, clutching a notebook. Julia Morgan’s 1937 remodel of the façade and gold lobby is a stunning Art-Deco gem. Instantly, I inhabited my protagonist, Lily, imagining both her fear and determination to land a job. Riding the gold-toned elevator, I absorbed every period detail, including a dial phone with a little seat. The elevator door opened into a sumptuous wood-paneled office. The secretary looked up. While we chatted, he pulled out historic photos and laid them on his ornate desk as I oohed and aahed. He copied all of them, slid each one into an envelope, and handed it to me. He led me down a hallway into a conference room. “Back in the day, this was WR’s office.” We stopped in front of framed black and white photos on the wall. I recognized the images of the Hearst Castle in San Simeon and Wyntoon, a private Hearst estate in Siskiyou County. I was in the inner sanctum of one of California’s pioneer families. The smell of prestige, power, and influence hung in the air. “Let’s go down to the fifth floor, which was originally occupied by the newsroom.” He took out a ring of keys, and in minutes we step into a curved hallway flanked by doors on either side. We walked the circumference of the hallway. My mind raced. I mentally concocted a scene in which Lily steps out of the elevator smack into the open newsroom. “Of course,” I said, furiously jotting down notes. This time we took the freight elevator that slowly rumbled and creaked down into the bowels of the building. As the door opened, dim light exposed an underground cavern. He moved into the center of the space; I was barely able to see him reach up and pull an overhead chain. Suddenly, twenty-five-foot concrete walls spattered with black ink flared into view. “Watch your step,” he cautioned. I moved into a cold subterranean labyrinth toward Mr. Zerbe, who led me along partitioned areas. The smell of ink was still sharp, and every surface was pocked and stained. As he unlocked and opened a door, I was speechless. It’s as if we were in a Hollywood set of a 30’s nightclub replete with pool tables, a curved bar, a stage draped with red velvet curtains, a dance floor, and tiny tables scattered around it. Along one wall, glass-fronted cabinets displayed clippings of vintage Examiner editions. Typewriters were suspended from the ceiling—a typewriter my character Lily would have used. We said goodbye in the lobby, Mr. Zerbe, keeper of the keys to the kingdom. I couldn’t thank him enough. I promised to bring him my published book. Not only did he give me a tour of the Hearst Building in which the mystery of the Examiner newsroom was unlocked, he gave me a sure sense of place so vital for my story. I hope my account inspires you to put yourself in your characters’ shoes. You can’t go wrong. Good luck! 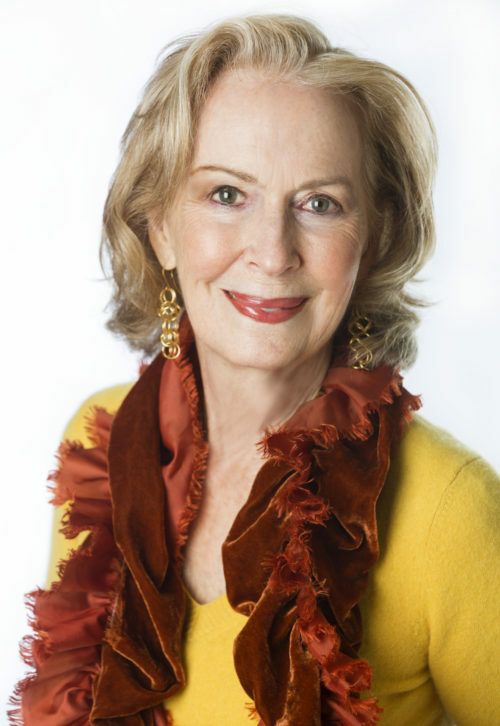 Christie Nelson is a third-generation San Franciscan, longtime Marin resident, and the author of Woodacre, Dreaming Mill Valley, and My Moveable Feast. She lives in the 1880s brewmeister’s home of the San Rafael Brewery with her husband. She can be found on Facebook at CityGirlPublishing and at christienelson.com.